1.Fun novelty for a great Saint Patrick's Day, wedding, New Years, or Mardi Gras celebration,4th of July. 2.There are 3 flash mode:Fast flash-slow flash-steady-off. 3.Five red LEDs match the red beaded necklace. 4.Five white LEDs match the silvery beaded necklace. 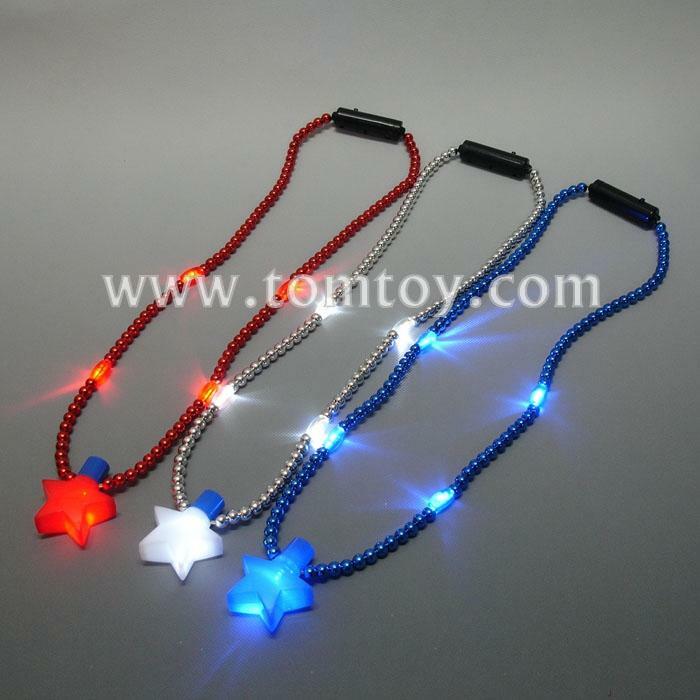 5.Five blue LEDs match the blue beaded necklace.